Jason makes purty pictures. Some of his pictures go on canvas and boards and some go on paper. Some go on the sides of buildings. But most go on skin of lucky, happy folks. Jason believes that we are all greater artists than we know. He enjoys creating one-of- a- kind pieces for one of a kind people! 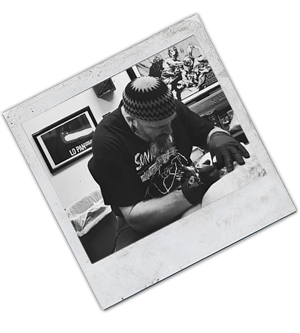 He has been with American Tattoo since 2003.